Illuminating York, supported by Arts Council England, is an annual event which sees a variety of designers invited to create light installations across the historic city. The Festival encourages visitors to explore and discover the city through the imagination of artists, using the medium of light in all its forms. 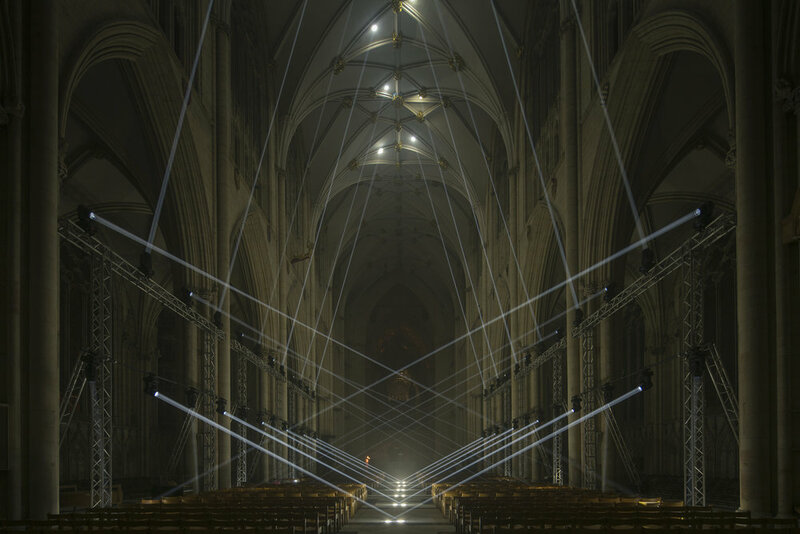 Light Masonry is an epic, site specific, light installation based in the main nave of York Minster. The artwork is founded on the construct of creating a secondary layer of dynamic, temporal and ephemeral architecture sculptured from light. Inspired by the continuous crafting and iterating of the layers of work by the Minster’s stonemasons, the studio has investigated the relationship between the vaults, light and the audience. Drawing upon the ceremonial nature of the space, the studio has created a synchronized procession of light that highlights and explores the nave as a choreographed architectural experience. 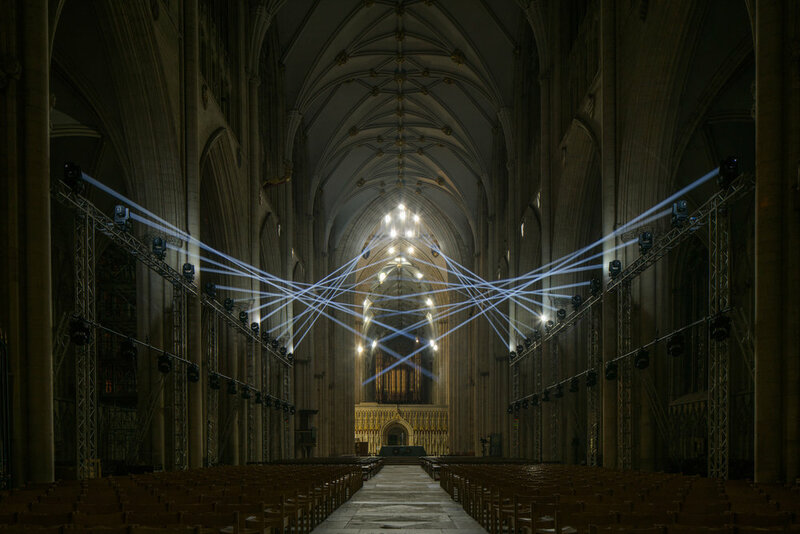 The art installation inscribes the perimeter of the main nave and is constructed from a bespoke system of 48 computer controlled Icon Beam moving head luminaires, animating a dynamic light architecture around the atmospheric volumes of the nave. The piece is immersive and complimented by the soundscape of Intervallo by Arvo Pärt, performed by John Bradbury and Benjamin Morris the Minsters organists. Here's a video which gives a small window into the processes we went through to create this project. From design to delivery this project required a whole lot of new techniques to be developed. Featured in the video is a series of C4D plugins written specifically for this project to control moving head light fixtures directly from Cinema 4D in a 3D intuitive way at a production level.